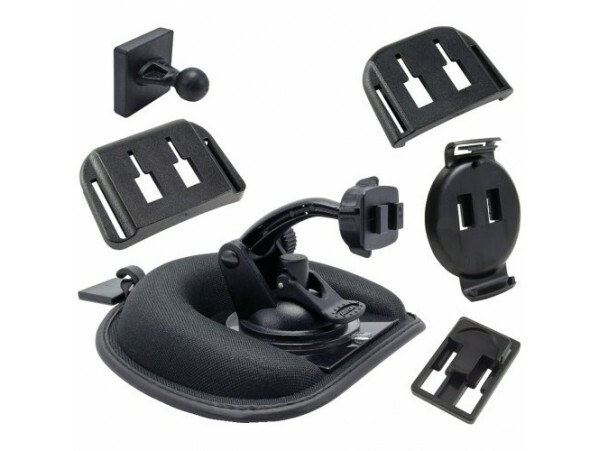 Arkon's TT212 Friction Dashboard Mount with Travelmount Windshield suction pedestal works with virtually ALL TomTom GPS devices on the market. Custom fit adapter plates for your TomTom are included for a secure compatible fit with your specific model. TT212 includes a super strong swivel suction mount and a weighted friction dash mount that provides a glass like surface on your dashboard to mount your TomTom. The mini friction dashboard mount is suitable for deep, slightly slanted, or flat dashboards. Dashboard mounting is preferred in Minnesota and California where the use of windshield mounts is restricted. Most other friction dashboard mounts solely rely on the weight of the mount to secure it to the vehicle. Arkon's friction dashboard mount includes an adhesive safety anchor for added stability. The dashboard mount can be removed easily from the dash to place under your seat or be taken to another vehicle. Keeping the suction mounts off of the windshield helps deter would be GPS thieves by not leaving visible suction cup rings.If you prefer to mount on the windshield the mount included can also be used as a stand-alone mount option replacing the inbox suction mount with a superior solution that will not fall off the windshield.